Green Hala scissor lamp made at the Dutch company Hala in the 60s. 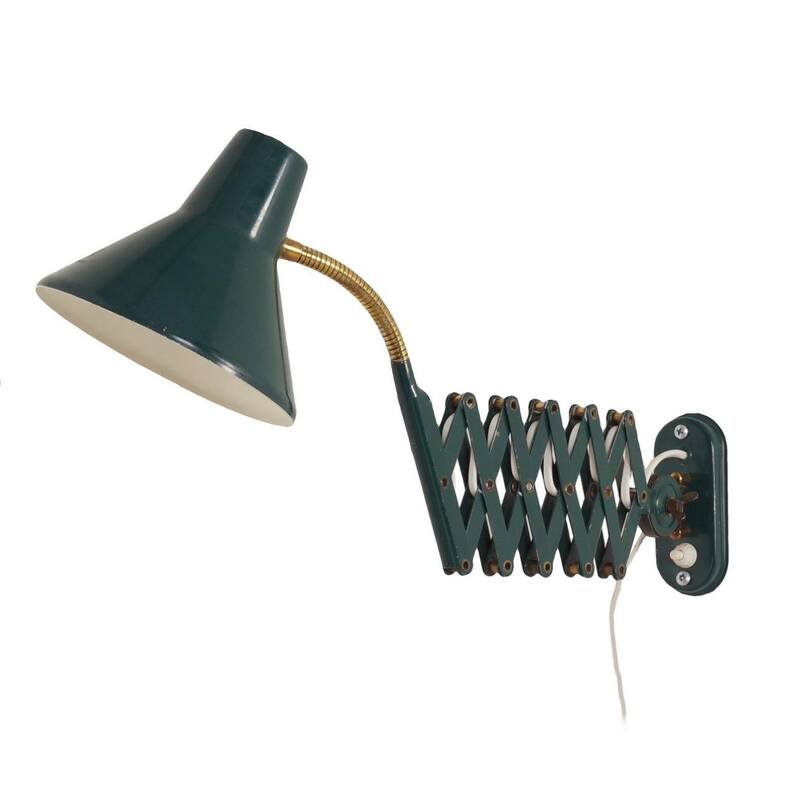 This vintage wall lamp can be pulled out from 26 – 70 cm and is adjustable in all directions. Considering its age this vintage wall lamp is still in good condition, some scratches on the shade (see picture). The wiring has been checked. Material: Iron. Measurements: h x w x d = 30 x 16 x 26-67 cm. The diameter of the shade is 16 cm.